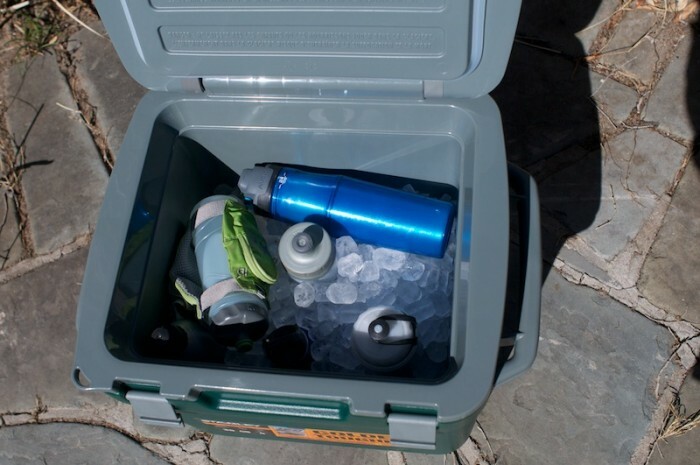 New this spring, the Adventure Cooler 30 from Stanley is a portable, made-for-camping unit that can hold ice for four days. At $150, the Stanley Adventure Cooler 30 is a mid-price 30-quart cooler that comes with claims to hold ice for four days. It’s portable at about 13 pounds empty and a good size for a day trip or a camping weekend where you need to keep a few items cool. The brand also touts its tough build and leak-resistant design. We put all this to the test last week for this review. There is no industry standard for cooler testing. But a room-temperature test is probably a good litmus, so I used my home — kept at about 68º F — as the test venue around the “four-day ice-retention” claim. Sure, it’s not blazing hot summer heat but in March, you work with what you’ve got. I loaded up the cooler with 20 pounds of ice. This filled it to about 3/4 full. I used full water bottles to fill the remaining space, leaving an inch or so of room at the top. I snapped the top shut and stuck the cooler back in the corner of my office. It was noon on Saturday when I closed the lid. It would stay closed except for a few quick peeks over the following four days. At noon Wednesday, I popped open the lid to find lots of ice remaining. Claim confirmed! I gave it another day and opened the lid. Still ice. Five days and the Stanley was going strong. This is when things got a bit unscientific. 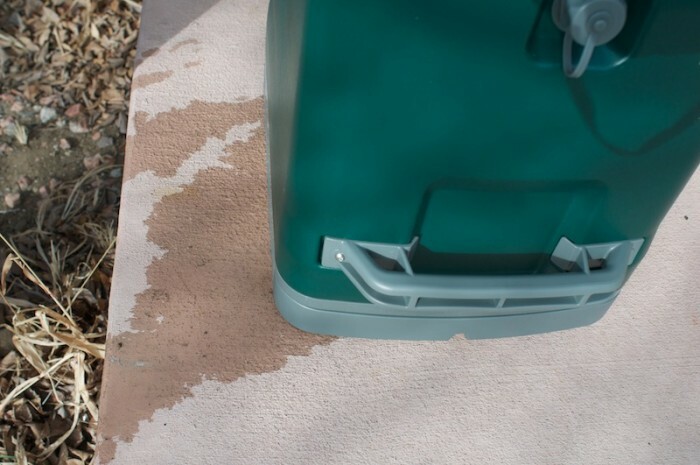 Worried the water might seep out of the cooler in my office (it didn’t), I set the cooler on my back porch and forgot about it for three more days. The weather was cool, with highs in the 50s to 60s, and lows in the 30s. Three days later, I went outside to give the cooler a big drop test. To my surprise, there was still ice in there. 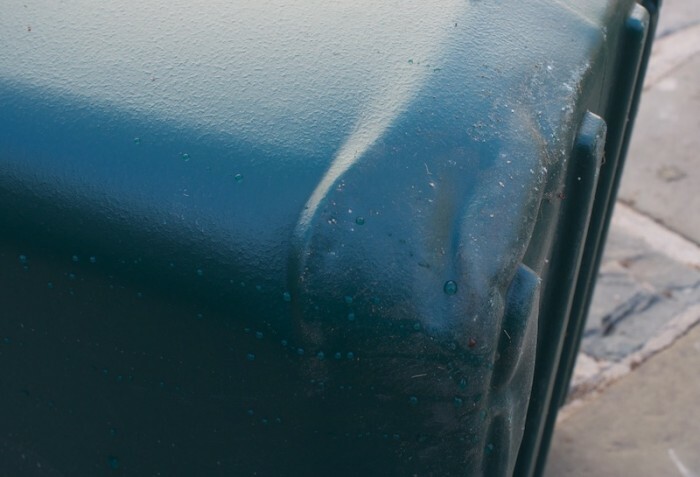 Sure, the weather was cool, but even so, eight days is impressive — and it didn’t leak a drop from the drain plug. A cooler is pretty much worthless if it can’t take a beating. So I gave it a thrashing to see how things would go. First, I threw it off my porch onto concrete, still full of about 30 pounds of ice water and water bottles. It fell about four feet, and it suffered only a small ding where it hit the ground. 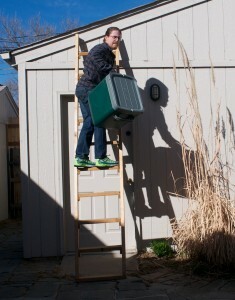 Next, I upped the game and pulled out a ladder. In this test, I dropped the cooler (still full) about seven feet onto concrete. This did a little damage, buckling the plastic exterior and, I assume, crushing some of the foam inside the plastic. But still, the cooler survived, and it would certainly still function. I even pulled out the Trucker’s Friend tool and gave the cooler a bit of a beating, hitting the handles and hinges with the blunt hammer and taking the razor-sharp cutting edge to the plastic body. The sharp edge did cut the plastic with mid-power whacks, but did not penetrate to the foam. 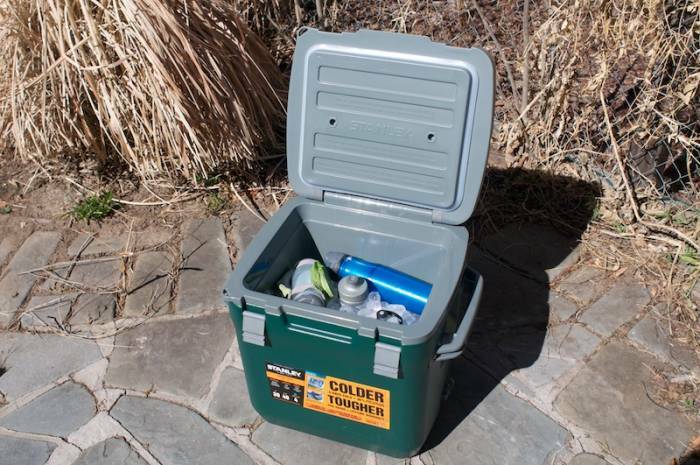 Ultimately, this is a pretty rugged cooler. 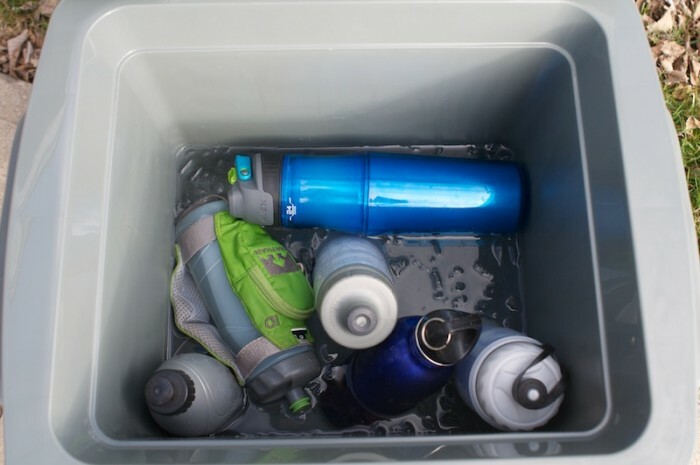 It’s certainly no YETI, and I could have definitely wrecked it in short order with a little motivation, but if used in normal camping and outdoors situations, this moderately-priced cooler should hold up just fine. 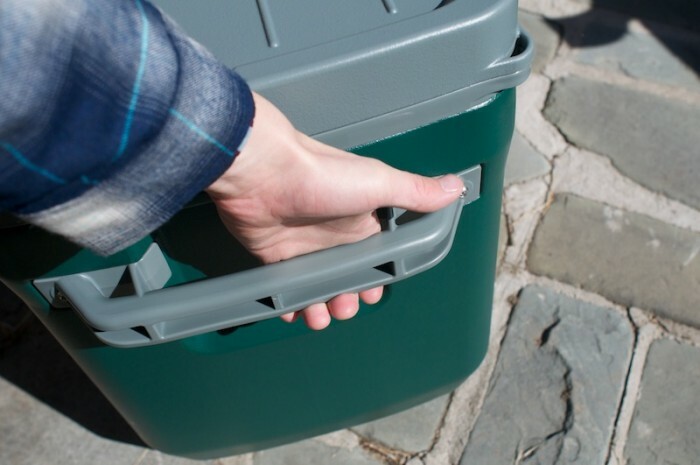 The Adventure 30 has big handles on each side, making it easy to grasp and carry. They work well for tie-down points, too. I was sure to drop the cooler on the handle (from about four feet) and it didn’t cause any noticeable damage other than scratching. The latches are simple and easy to work. They close the lid securely, and they survived the drop tests. 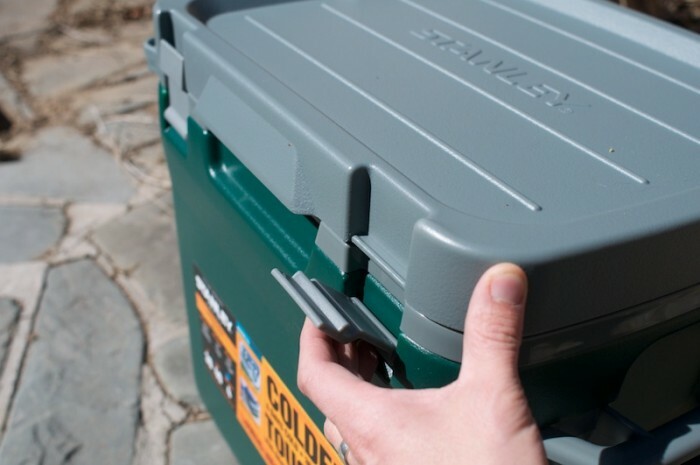 The cooler is padlock compatible, so you could use it as a semi-secure storage locker. I wouldn’t trust it against a pry-bar, though. Even pre-abuse, the cooler slowly leaked when I flipped it upside down. Still, for normal uses, this shouldn’t present a problem. For a quick accidental flip, the cooler may dribble a little water from the sealed lid, but it won’t be a torrent. In all my testing, the drain plug never leaked. 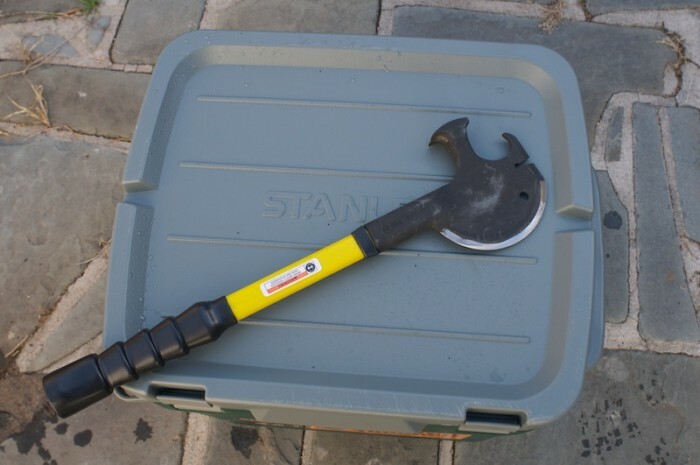 Overall, the Stanley Adventure 30 is a solid product. Use it as a step stool or seat, keep your beers cold, and don’t worry about it much. If abused hard, it may eventually break down. But minor mishaps like dropping off your truck tailgate shouldn’t do more than ding it, and probably shake up your beer inside.